Hydrotech Is the Only Rexroth Distributor in Ohio and Kentucky. We are the only ones who can provide Rexroth/Indramat Authorized Repairs! One reason why there's still a large amount of Rexroth & Indramat automation components being used today in the field...they were built to last! But after years of productivity, we are seeing a lot of Indramat components that are needing repair. Fortunately, we are the only Authorized Bosch Rexroth & Indramat Repair source for Ohio & Kentucky and can assist with any repair. A lot of companies say they are capable of Indramat repairs, but do not have the technical ability to offer a quality repair and as a result out of box failures and other issues occur. The above side-by-side comparison of a Third Party Repair vs. Authorized Repair speaks volumes. Sending your repairs directly to Bosch Rexroth® through Hydrotech guarantees your equipment is returned to like-new standards. Utilizing factory-trained specialists and genuine Bosch Rexroth parts, your repair will be returned to you with a complete factory-backed warranty. Next time your Bosch Rexroth or Indramat industrial automation component needs repair, be careful who you hire to fix it. Many customers aren't aware of how dealer networks work, and that ignorance is being used against them. If you need to repair a Bosch Rexroth or Indramat component, we are here to help! Contact our repair specialists today to get started. Here are questions you should ask of any service repair center, regardless of what type of industrial automation product you're having repaired. Who is doing the actual repair? 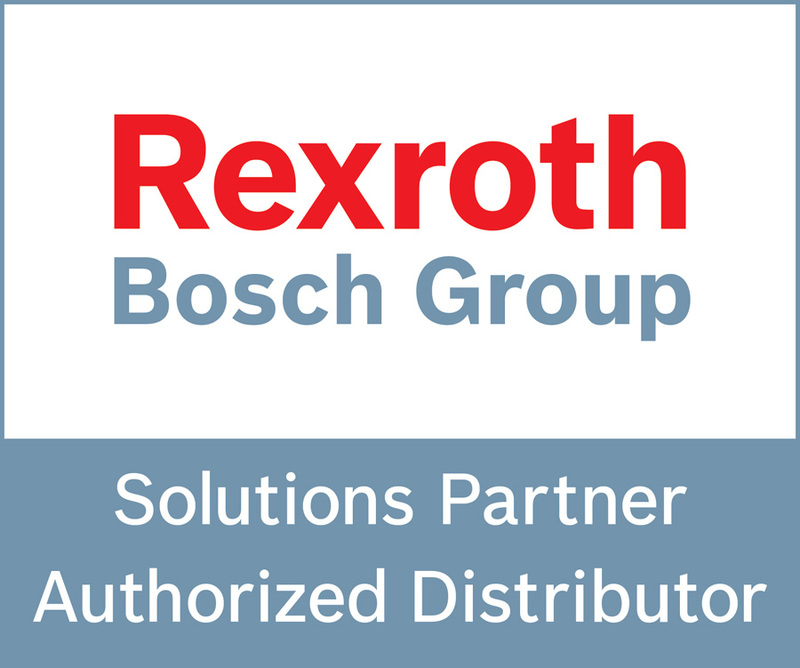 Like most manufacturers Bosch Rexroth limits authorized dealers by geography. There is customarily only a handful of authorized dealers for each geographic area, and many of those dealers are exclusive to a certain line of products. For example, in Ohio and Kentucky, Hydrotech, Inc., based in Cincinnati, Ohio, is the only authorized sales and service dealer for Bosch's automation product line which includes IndraMotion MLC motion logic controller and IndraControl VPP HMI human machine interface. These direct authorized dealers will always take your broken product or part and send it direct-to-factory back to Bosch Rexroth for repair. Now some companies are not in a dealer network, instead acting as middlemen. They'll take your repair request and send it to an authorized dealer who then forwards it to Bosch Rexroth for repair. You'll receive the same benefits of a direct-to-factory repair, but it may cost you more. The middleman will often charge you what he pays for the direct-to-factory from the direct authorized dealer, plus a premium for his service. Some companies, on the other hand, may do the repair themselves. When this happens you risk voiding your product warranty from Bosch Rexroth or another manufacturer. When you lose your product warranty, you also risk losing technical services and support after the repair. Who owns the service center? Believe it or not, it is a common sales strategy for some competitors to own a service center for Bosch Rexroth products. (Bosch Rexroth does not engage in such competitive strategies.) It is the standard bait and switch. You come in to repair what you have, but they try to sell you on something else. In this case, a new brand of automation products. These type of third party service centers may offer you a warranty, but they can only keep repairing your product or part. They can't offer replacement parts or extended services for end-of-life products. Bosch Rexroth only offers these services through direct authorized dealers. What type of parts are you using? Many service centers can offer lower prices due to purchasing strategies. They may buy parts in bulk, purchase from foreign vendors that can offer lower prices, or use cheaper, remanufactured parts instead of new. All of this is fine, as long as you're aware of it. There's nothing worse than having an out-of-the-box failure from a repair only to learn that the new part you thought you purchased is actually a remanufactured part from China. What happens if my repair can't be fixed? Like any manufactured product, industrial automation products have a shelf life. There comes a time when repair is no longer possible. Parts are no longer available, components are needed that weren't original with the product, or the technology is inefficient. There's not much middlemen or repair centers can do when this happens. All they are capable of is repair. A direct authorized dealer of the manufacturer on the other hand can offer you more options. Yes, they can sell you a whole, new automation product. But they can also offer you retrofit or part replacements that are less expensive. Direct dealers know the products extensively. They can retrofit or upgrade the product. They can also modernize your machine by replacing old parts with newer parts that are more energy efficient and productive. Working with a direct authorized repair dealer not only saves you money, but ensures a quality repair and extends the life of your product or part with Bosch Rexroth-certified warranties.